When police arrested a drink driver in Lurgan they also found a small bag of cocaine in his pocket, Craigavon Magistrates Court heard last Friday. Ciaran Robinson, Belvedere Manor, Lurgan, was fined £250 and banned for 16 months for driving with excess alcohol in breath on July 31 this year. He was also fined £150 for unlawful possession of a class A drug, cocaine, and ordered to pay a £15 offender’s levy. 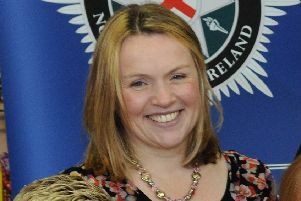 The court heard that at 2.30am in the Shankill estate in Lurgan police saw a car being driven slowly with no lights on. They spoke to the defendant who was driving and he smelled of intoxicating liquor. A preliminary test gave a reading of 76 and when Robinson was searched a small bag of cocaine was found in his pocket. An evidential breath test gave a reading of 73 microgrammes of alcohol in 100 millilitres of breath - the legal limit is 35 microgrammes. Mr Paddy Moriarty, representing the defendant, said Robinson had been out that night for a few drinks. The cocaine was for his personal use. District Judge, Mr Peter King, said the defendant had ten previous convictions on his record but none for drugs or drink driving. However, he added, the reading was over twice the limit and the minimum disqualification could not be applied. The judge did certify Robinson suitable for the drink driving which, if he completes it, would reduce his ban by a quarter.